Millennium Development Goals (MDGs), which were agreed upon at the UN Millennium Summit in 2000, are set to expire in 2015. During the recently concluded Rio+20 United Nations Conference on Sustainable Development, UN member states agreed to develop Sustainable Development Goals (SDGs), which takes into account the impact of development on the environment, to replace or to continue the MDGs. The 9th ASEF Journalists’ Colloquium, "Media and the Green Agenda: Reporting on Sustainable Development in Asia and Europe", focused on the challenges for the media in reporting on sustainable development, in particular the looming expiry of the MDGs in 2015 and its intended successor, Sustainable Development Goals (SDGs), as well as the areas of energy, green growth and economy, and poverty reduction. Colloquium participants discussed how these issues are viewed in different countries across Asia and Europe, how they are reported in the media, and explored the role of the media in bringing the stories to an interested and wider public. The Colloquium was held in conjunction with the upcoming 11th ASEM Foreign Ministers' Meeting held in New Delhi, India from 11-12 November 2013. A Handbook for Journalists will be developed based on the discussions from the Colloquium participants. The Handbook will feature tips and guidelines for reporters on improving reporting on sustainable development issues. The Handbook will be launched in May. Sign up now to receive a free copy once it's available. The ASEF Media Handbook: Sustainable Development Reporting for Journalists is now available for downloading. This Handbook is the result of discussions held by 28 journalists during the 9th ASEF Journalists' Colloquium: Media and the Green Agenda which took place from 9-12 November 2013 in Gurgaon, India. The Colloquium tackled sustainable development reporting, its challenges, and ways to improve one's journalistic standards while covering green issues. 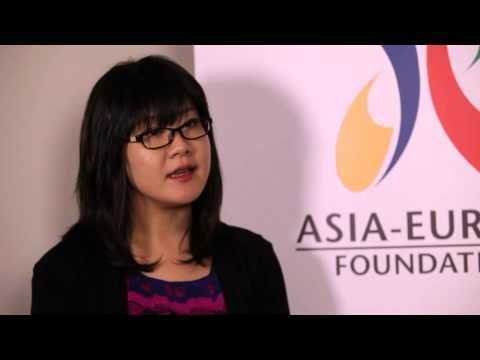 The ASEF Media Handbook is written for journalists by journalists. It is the result of exchanges between media professionals from Asia and Europe. The Handbook tackles a specific area of journalism and its challenges. It also presents suggestions for better quality stories based on experiences and insights shared during ASEFs media programmes. Some 30 journalists and environmental experts gathered at the 9th ASEF Journalists' Colloquium to discuss the Media and the Green Agenda: Reporting on Sustainable Development in Asia and Europe. The key points recollected from the discussions and the sharing of working knowledge are being collated as a Handbook, which will be a ready reference for the media and development professionals working on sustainable development issues. The Handbook, edited by media expert Dr Michael McCLUSKEY, will present guidelines for reporting on sustainable development, namely considerations for journalists in determining editorial focus, establishing national and cross-border partnerships, and partaking in knowledge-training. The Handbook will be launched in early May. To be one of the first to get a free preview of it, subscribe now! Reporting on sustainable development was on the agenda for discussions during the 9th ASEF Journalists’ Colloquium, which was held from 9-12 November 2013 in Gurgaon, India in conjunction with the 11th Asia-Europe Meeting (ASEM) of Foreign Ministers. Some 42 journalists and environmental experts from 29 ASEM countries gathered to discuss pressing environmental issues, sustainable development goals, poverty reduction, energy and green growth, and specific media challenges in reporting on these topics. Journalists shared how these issues are reported on in their own countries especially on how to link international issues with local concerns. Journalists also addressed challenges of reporting on environmental issues, such as dealing with technical data, making concrete stories out of “abstract” green issues, moving beyond disaster and crisis reporting, and decoupling business interests from journalism. Results of the discussion will be developed into a journalists’ handbook for sustainable development reporting, which will be out in the first quarter of 2014. Participants also took part in the press conference of the 11th ASEM Foreign Ministers’ Meeting, and had the opportunity to pose questions directing to Indian External Minister Salman Khurshid. Be the first to preview the Handbook! The key learning points from the discussions of the 9th ASEF Journalists’ Colloquium will be documented as a Handbook. This publication will be a ready reference for media and development professionals working in the field of sustainable development across Asia and Europe. Asian and European practicing journalists and experts will be participating in this colloquium, ‘Media and the Green Agenda: Reporting on Sustainable Development in Asia and Europe’. They will discuss the challenges and best practices for the media in reporting on sustainable development, in particular the looming expiry of the Millennium Development Goals (MDGs) in 2015 and its intended successor, Sustainable Development Goals (SDGs), as well as the areas of energy, green growth and economy, and poverty reduction. The Handbook will be a recollection of such knowledge and sharing of field experience from the participants and speakers. The publication will highlight key lessons learnt and best practices on media reporting from across Asian and European countries. It will be a ready reference on sustainable development reporting. To be one of the first to get a free preview of the Handbook, subscribe now! The Asia-Europe Foundation (ASEF) is pleased to announce the list of selected Participants for the upcoming 9th ASEF Journalists' Colloquium. The Colloquium, ‘Media and the Green Agenda: Reporting on Sustainable Development in Asia and Europe’, will take place in Gurgaon, Delhi-NCR, India from 9-12 November. Some 21 participants were chosen over 150 applications across 35 ASEM countries. ASEF would like to thank everyone who applied for their support of the Colloquium, and hope that there will be more avenues to collaborate in the future! The Asia-Europe Foundation (ASEF) would like to thank everyone who applied to the 9th ASEF Journalists' Colloquium. The Call for Applications ended on 12 August 2013. We are happy to announce that we have received over 150 applications from more than 35 countries across Asia and Europe. The 9th ASEF Journalists' Colloquium, ‘Media and the Green Agenda: Reporting on Sustainable Development in Asia and Europe’, will be held from 9-12 November 2013 in Gurgaon, India. The event will be in conjunction with the 11th Asia-Europe Meeting of Foreign Ministers. The final list of participants will be released on Friday, 6 September 2013, so stay tuned! Applications from relevant and interested journalists from ASEM member countries are now being accepted. The deadline for applications is on 12 August 2013. Contribute towards the formulation of a “Guide to the Issues” publication planned as the outcome to the discussions, which will compile a summary of the various issues, the different perspectives and challenges across media in Asia and Europe, and will be shared made available to a wider audience as a tool for improved reporting.